I'm not the only one who likes men with large hands, right? 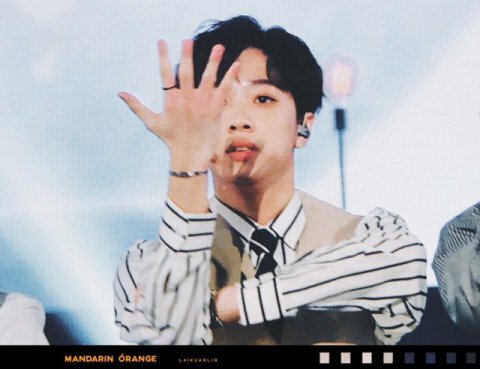 I know a lot of male celebrities with large hands, but Lai Guan Lin's hands are just uniquely beautiful.. The gif that made me realized how beautiful his hands are..
Now that I look at it, he has the habit of covering his face with his hands when he laughs.. I'm falling in love with his large hands and long fingers..
Look at how long his fingers are..
Am I the only one who falls even harder for him when I see him holding an iPad with one hand..? Anyway, I like Guan Lin so much because he has such beautiful hands..
His veins during Meringue time..
3. [+33][-1] His delicate hands..
4. [+12][-6] Kim Jaehwan's hands are beautiful as well! 5. [+11][-0] I never get sick of Guan Lin related posts no matter how often I see it.. He's really handsome..
6. [+10][-2] Daniel's hands too..
8. [+8][-0] Guan Lin currently ranks at #20.. He's not in a safe place.. Please vote for him, everyone!! 9. [+8][-1] Guan Lin, you're actually 27 years old right, not 17 years old??? 10. [+7][-0] Even his hands are beautiful..